Party: (MTY) Gilberto Cura Alanis, Juan Pablo, Miguel Guerra, Felix Ossig-Bonanno. (MX) Edgar Fco. Mendoza Gualito, Alma Delia Esparza Léon, Atzin Valencia Flores, Raquel Aguilar Remoro, Victor Cruz García, +1??. I met Gilberto on my first trip through Laberinto with Fernando. As we watched the rest of the group negotiate the tirolesa, we talked and I was invited on his planned trip to visit Sótano Tomasa Quiahua. It sounded exiting, and it lined up perfectly with my plan to continue south! (I didn’t realise how far south at the time…). We kept in contact and after a week of canyoning without phone reception I returned to civilisation to find everything aligning. I had one rest day (still squeezing a trip in!) and the following morning was collected bright and early. I was pretty tired. I had little sleep that night, crashing around 2am, and additionally I wasn’t sure if the original plan to meet at 5am had been amended to 7am. I woke early to finish packing. At 8:30am I met Juan and Miguel for the first time. 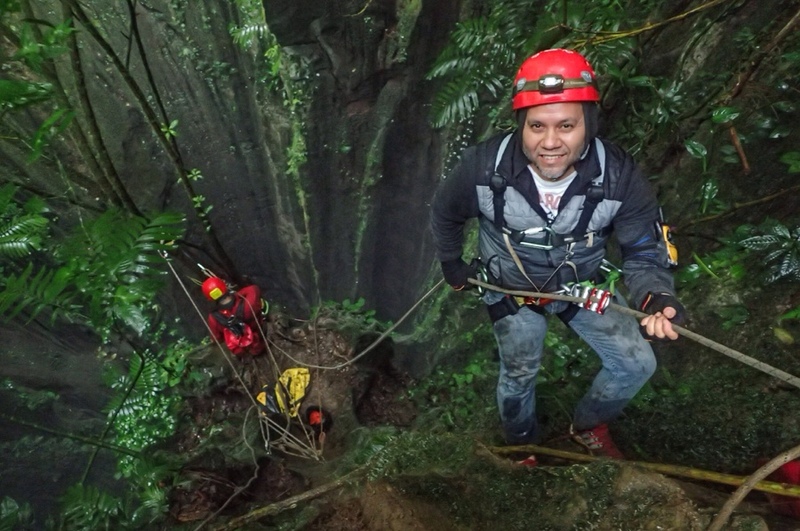 Juan was an engineer and Miguel a climbing guide. We had lots of time to talk because as it turned out Veracruz was half way across the country; typically 14hrs of driving. As we headed south, I was suprised at the number of toll roads we were obligated to use. Turning around to catch one that we missed, we got stuck for several hours not far behind an accident. If we hadn’t missed the turn, maybe we would have missed the whole thing, or maybe we would have been part of it? Who’s to say. Some of us went to investigate… The accident occurred at a bridge; the road narrowing. A thick film of mud coated the road probably sending one of the cars out of control and involving additional three cars and a truck (Australian truck). A boy was lying on blankets and an hour or so later was put onto a backboard and loaded into an ambulance on the other side of the freeway. I found it surprising no one was coming from the opposite direction. Eventually a lane was cleared and we slowly got moving. Now dark, I drifted in and out of sleep, missing our rendezvous with the México Ciudad group. The weather had been fairly poor most of the way down. In the community of San José Independencia I was not motivated to camp in the drizzle. Squished between the seats I slept like a tetris piece, my head resting on the back seat. It wasn’t especially comfortably. Gilberto woke me at some point, the back was empty. Still half asleep, I stretched out for the rest of the night. In the morning I emerged. I felt a bit like an outsider, the others not introducing themselves. I should probably have woken up quicker and introduced myself! We moved into the shed of the Nahuatl couple who I believe own the land where the cave is located. 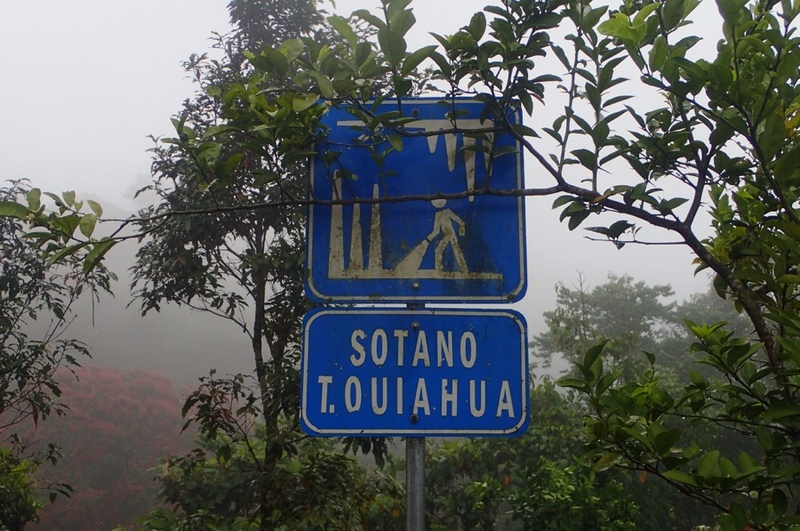 Their surname is Quiahua and Tomasa refers to the name of the indigenous woman who lost her life when she fell into the sótano. Her remains were later removed by French speleologist Phillipe Ackermann and his team. Unreeling the spool of rope reminded me of the only other trip where we did a similar thing to abseil Bridal Veil Falls and the base jumpers cliff at Pierces Pass. 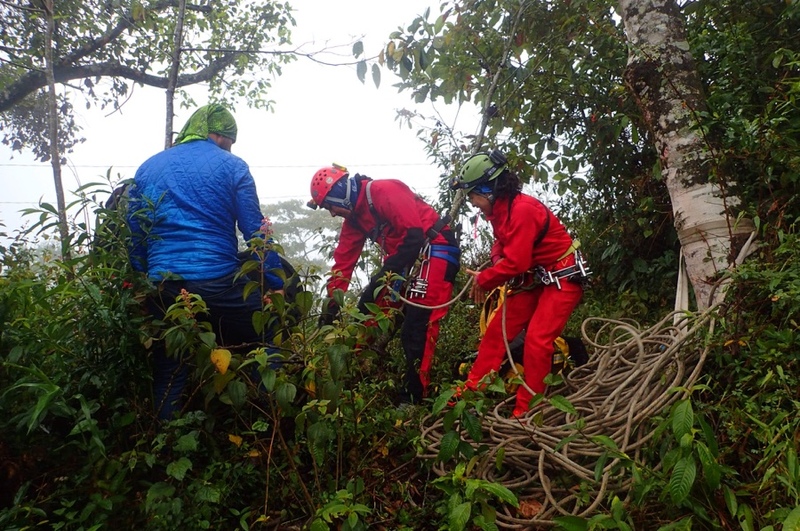 Only this time we had about 1km of rope to manage! 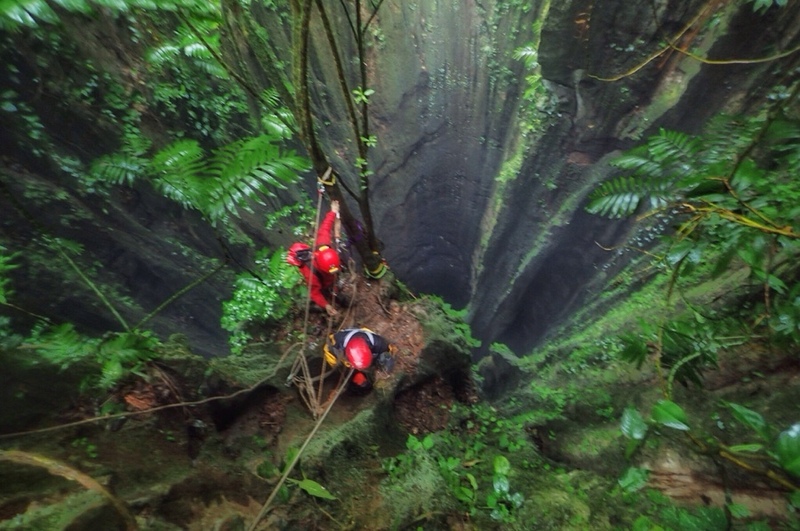 Tomasa Quiahua has a continuous drop of about 375m, and a mouth of around 15m. 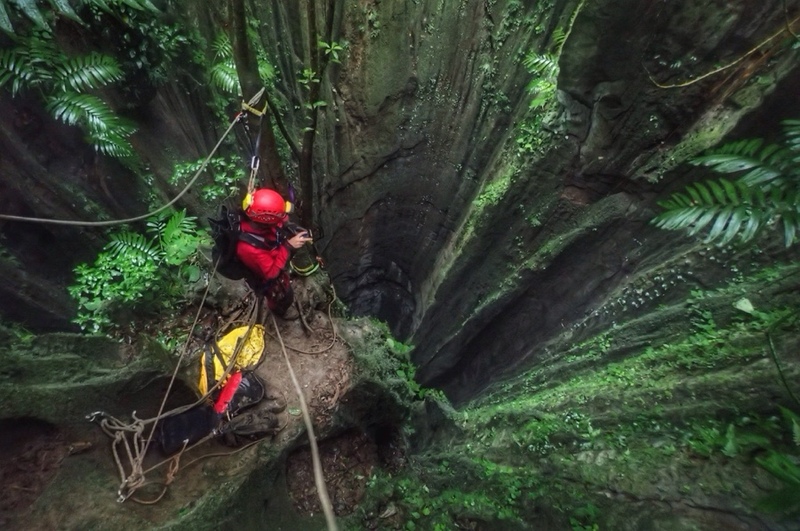 This places it fourth among the deepest pits in America. 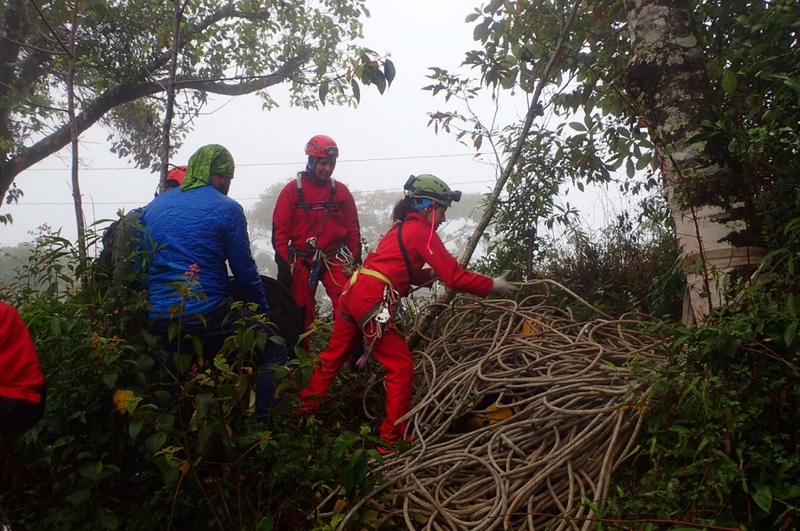 After creating a huge pile of rope, Victor (who I understand was the leader of the expedition) descended only to return 15mins later. The way down here was very messy, so he decided we’d move to a different spot along the edge of the doline. Looking at the anchor next to me, I realised that they were placing many new bolts (probably what was taking so long). 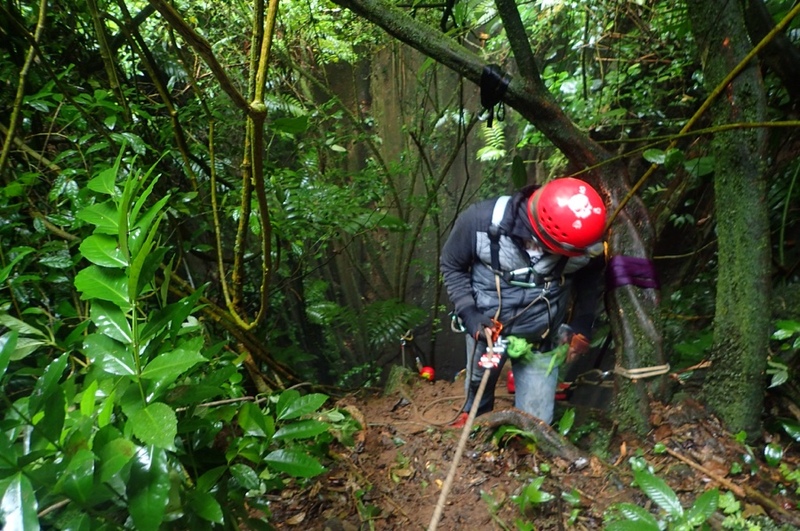 Miguel’s 400m rope was redirected via a conveniently overhanging tree and almost reached the bottom of the sótano. 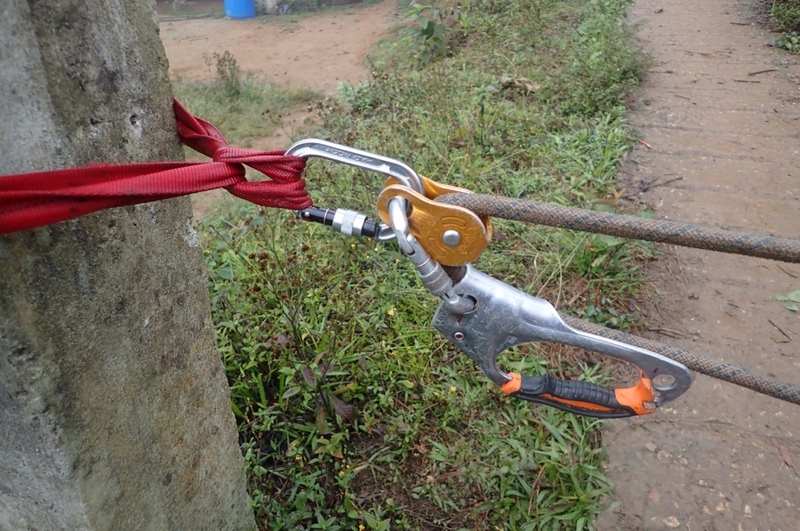 This rope wasn’t really used, but was held in reserve in case something went wrong. Time passed and daylight began to fade. Soon the call was made that not everyone would descend today – sacrificing our chances to visit another nearby sótano con cascade. The three of us ascended. Atzin had made some dinner. I was very grateful. Soon, those on the surface, set mats up in the shed, crawled into sleeping bags and found sleep. We woke early. Gearing up, I passed Miguel on the way to the sótano… He’d only recently reached the surface! 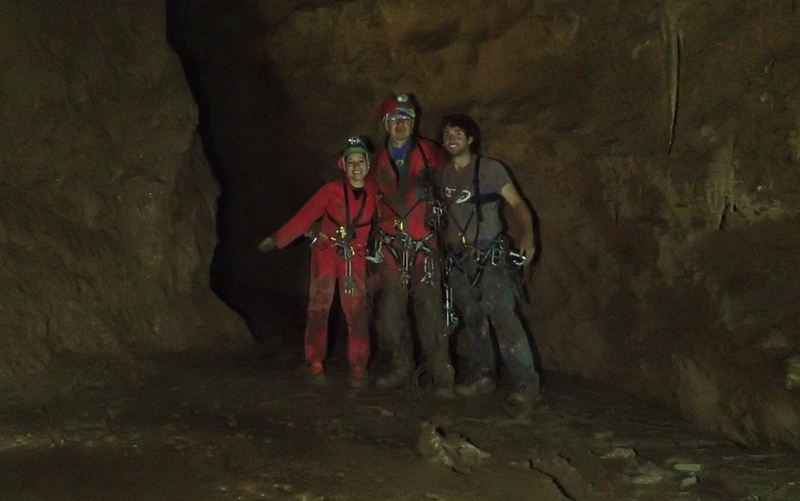 I descended the cave closely behind Raquel. There were around 15 pitches in total. One in the middle was around 200m and involved a knot bypass. The distances confounded judgement, and what looked like a relatively short distance took much longer to descend. Going back up was worse. I think it took around 2hrs to reach the bottom of the straight section. 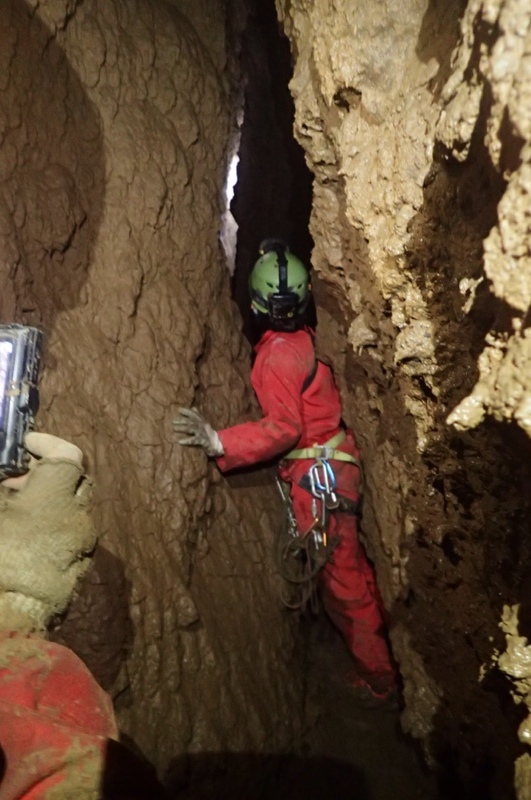 It turned out that the cave hadn’t been fully rigged. We were still one pitch short of the bottom. I joined Raquel lying down, gazing back up the sótano. It was an impressive geologic feature. Soon Edgar and Alma joined us. 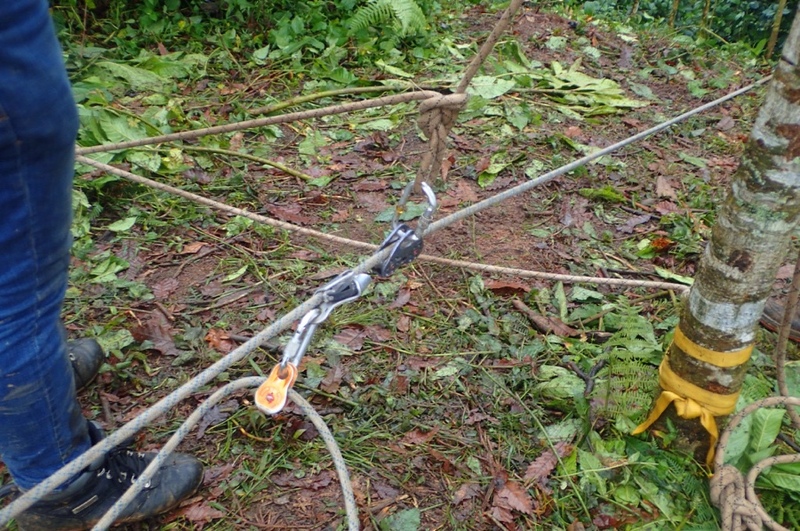 As it turns out, they were prepared for the additional pitch, bringing an extra rope, bolts, nuts, hangers and the like. It took a while to rig the pitch; there were problems threading the bolts into the sleeves and discrepancies between the diameter in the gear we had of the existing hardware. Raquel got a little bored and decided to ascend. Eventually I followed Edgar down. 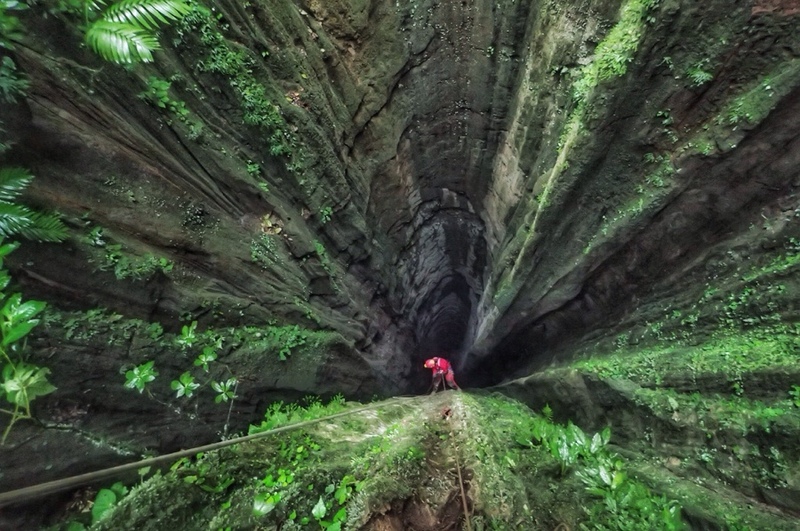 I squeezed through a crack at the end. There was more passage! Alma joined us. Edgar wasn’t sure if this was in the survey. Could it be virgin? 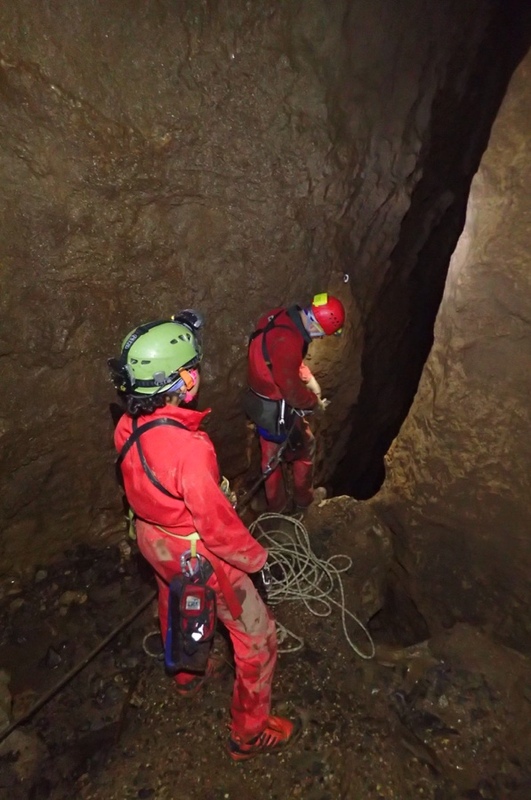 We reached the bottom of a closed sótano and starred up… This might be below the doline where the toilet empties... I voiced. The mud was thick. We took a quick photo and returned the way we had come. Just after the crack I was suprised to spot a diplura in the wall. 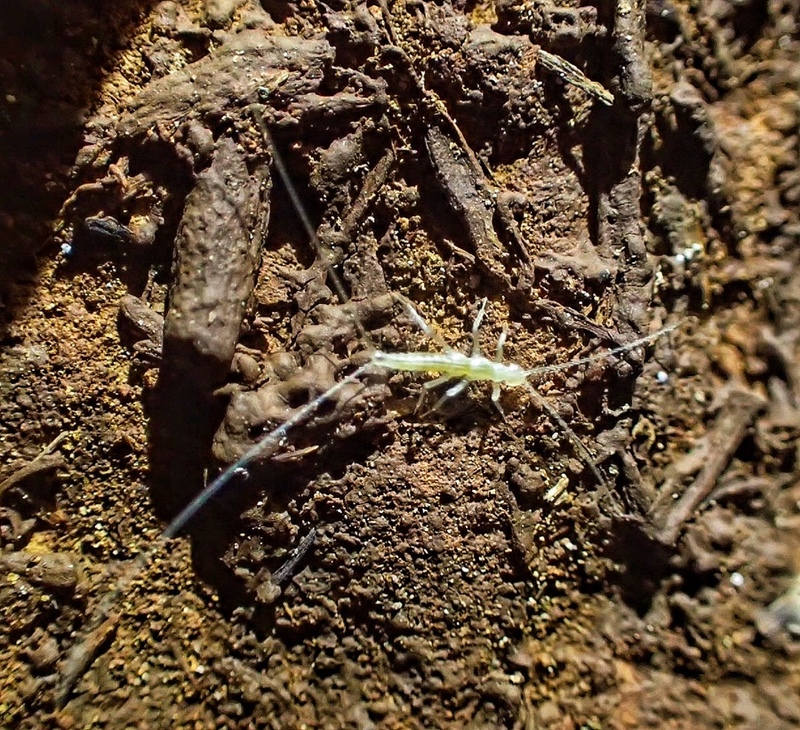 After recently helping Quagger/CICC confirm a new species of diplura, I excitedly took some footage. I got to carry a rope and some bolting gear back out. It wasn’t so bad for the first 5(?) pitches, but the 200m pitch seemed to take forever! The pack seeming to increase in más whilst someone kept lowering the rope as I ascended. I understand why Raquel had still been on the pitch when I reached it. 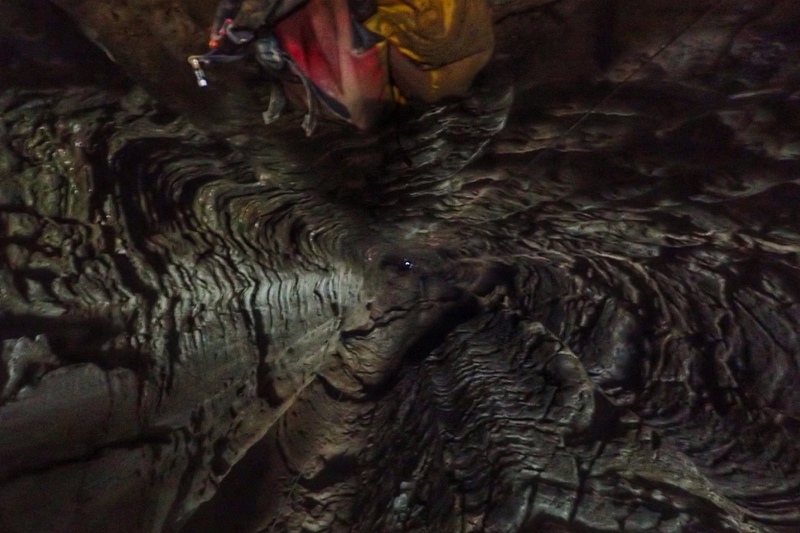 Despite the static rope, the stretch was pretty impressive… and a little unnerving. I hoped there were no rub points! Crossing the rebelay was interesting, the rope must have stretched at least 6m before it took my mass. I ascended in bursts, trying to time my movements with the bounce in the rope. Peering down, I stopped a couple of times for photos (many more for rests!). 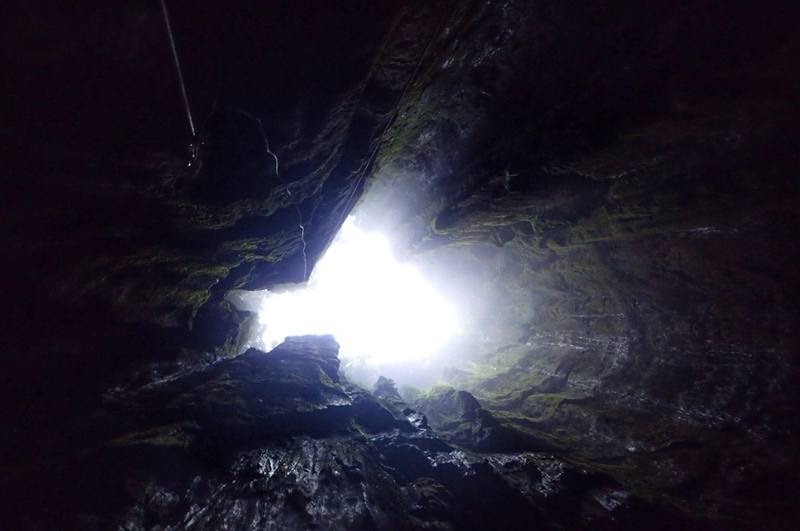 I particularity like how this one came out : you can see my Summit Gear pack (not really for caving; but it’s tough) hanging below me, and about 200m below that you can see the dot in the centre that is Edgar or Alma’s light! It was nice to reach the surface. I had a rub spot on my chest that was a little sore. It would have been nice to rest… but the next 7(?) hours were spent derigging the 1km of rope. Rope at these lengths is very heavy. We had a haul team at the top with mechanical advantage, someone monitoring the progress capture (I like how Juan used the Jumar), someone on the rope reel, people derigging, and people monitoring problem points at redirects. Continuous improvements were made to reduce friction, but it still took many man hours and a lot of energy before everything and everyone was on the surface. It was well (4hrs?) after dark. The MX crew packed and headed off. Some had work the following day. Us remaining checked out the food at the party opposite where we were staying. It wasn’t that much of a supprise that there was nothing vegetarian. Our host made me some food… And also offered me food that definetly contained meat – it’s difficult in México. The next day we headed back north. I made plans to meet up with Fernando in Querétaro. 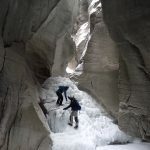 We were hoping to get some canyoning in. Passing through México Ciudad, we were stopped by police. Apparently we were supposed to have a piece of paper allowing us to drive a car from a different state… Despite being on the outskirts and on toll roads (the permission slip is free and available online). I believe it has to do with the population of México city, which is comparable to that of Australia! Each day of the week for a different surrounding state? Anyway, the police wanted to impound the car and fine us 5 mil. But, being México it’s pretty normal that you can bribe the police. The problem was that we didn’t have any substantial cash. Thinking in his feet, Juan did an anonymous transaction to an ATM so the police could enter a code in to withdraw several mil. We were away! Juan still seemed to be in a hurry to pass through the toll gates… It turned out he had done a bogus transaction! We’d gotten away free! As long as he didn’t send the code to a friend to try… But I was soon waiting on the side of the highway for Fernando. Ready for the next adventure.